We truly wish to express our gratitute to Maya Hirani Horsley who ran the Leicester half Marathon on Sunday 14th October 2018, in memory of her cousin Jaimini who passed away over 20 years ago. Jaimini is closely linked with this charity. In fact the charity was founded in Jaimini's memory. Maya is a young mother with two young daughters and yet somehow managed to find the time to train and accomplish her goal. Thanks to Maya for raising £561.25 for IJF. A big thanks to Bhavna Parshottam for finishing the Thames Bridge Trek challenge and raising an impressive sum of £1358.50 for IJF. We wish her the best so that she may continue to raise funds for good causes. Happy to have known Bhavna personally who is a very kind soul always thinking of others! Despite the huge commitment for caring for her ailing in laws, along with her own children, she plucked up the courage to do this challenge. Our sincere thanks to all the bike riding team for raising nearly £60,000 for our educational and hospital projects. Also congratulations for the five raffle winners! 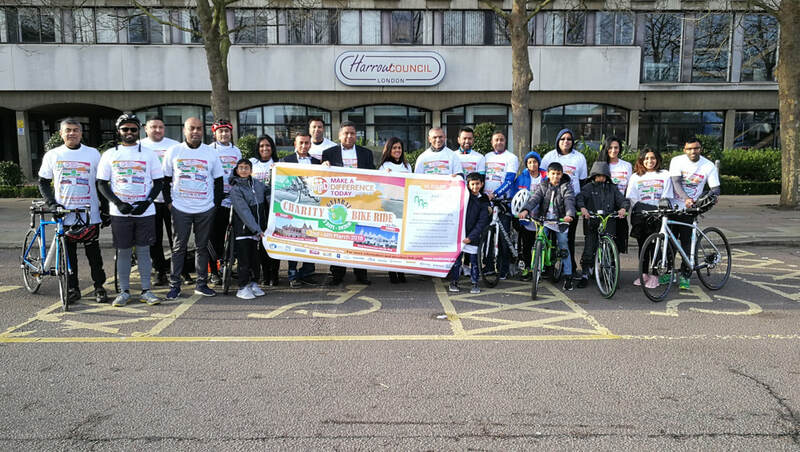 Three days sponsored bike ride in Gujarat India started on 2nd March 2018. All participants were from the UK and the group is called "MAD Today". All riders paid for their own travel and accommodation. We held three therapeutic music workshops during 2017 for the benefit of the general public. 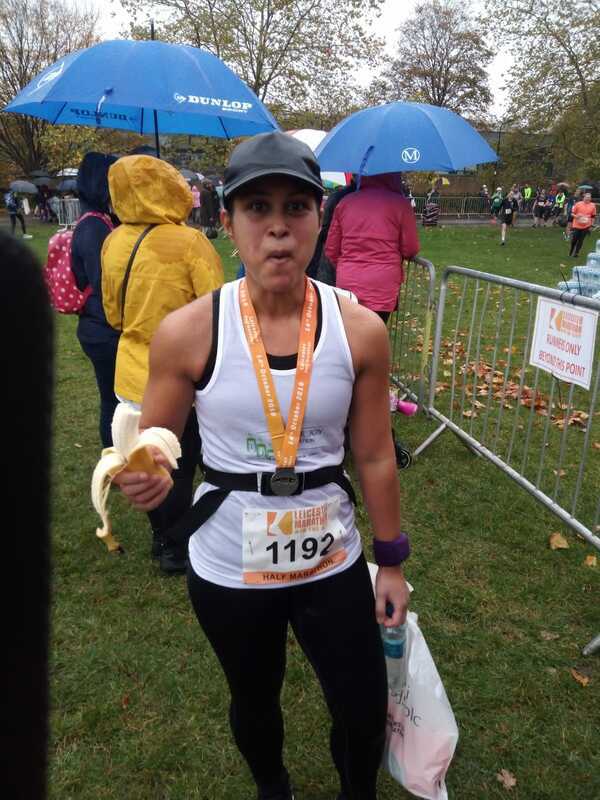 Congratulations to Roshni Kara for running a half marathon to raise funds for I J F. She managed to raise an impressive sum of over £1000.00 plus gift aid totalling well over £1200.00. Well done Roshni. It's amazing how she manages to look this fresh after all that running. 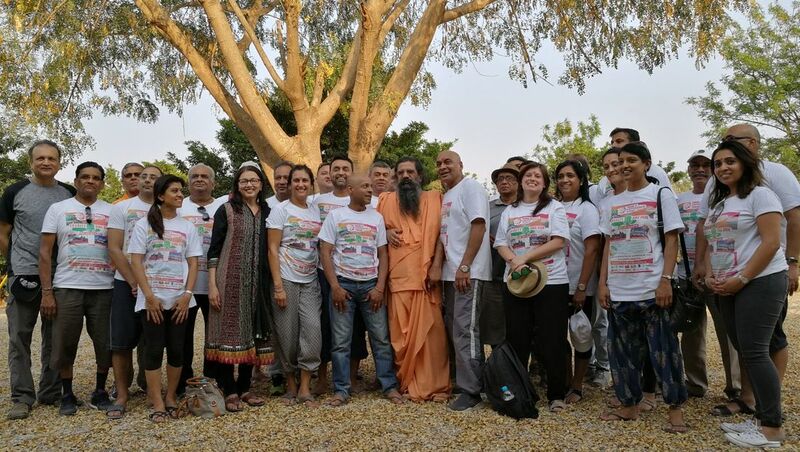 We wish you all the best and hope you can continue supporting I J F.
September 2012: Saturday the 29th was a music concert with Vijya Kara and group with her students raising over £1600.00 and a few sponsorships as well. Sudha Patel privately arranged her own Mount Meru Challenge in Tanzania raising £900+. Our sincere gratitude goes to all the participants, sponsors and donors. Our heartiest thanks to Kishore Harsiani for organizing a family walk to the Watford Temple on Sunday the 9th October 2011. In a short time the participants managed to raise over £2000. Thanks to all those who attended especially the young members Jaishulin aged 8 and Riva aged 6. Also our special participant Kush who is 17 and is autistic managed to join us for the second leg of the walk. Kush did not even know why he was walking but he just carried on and his innocence inspired us all. As Kishore said this is a lovely opportunity for the whole family to join in a fun filled healthy activity while raising funds for the needy and at the same time raising our spiritual awareness. I can't think of a better way to spend a Sunday. 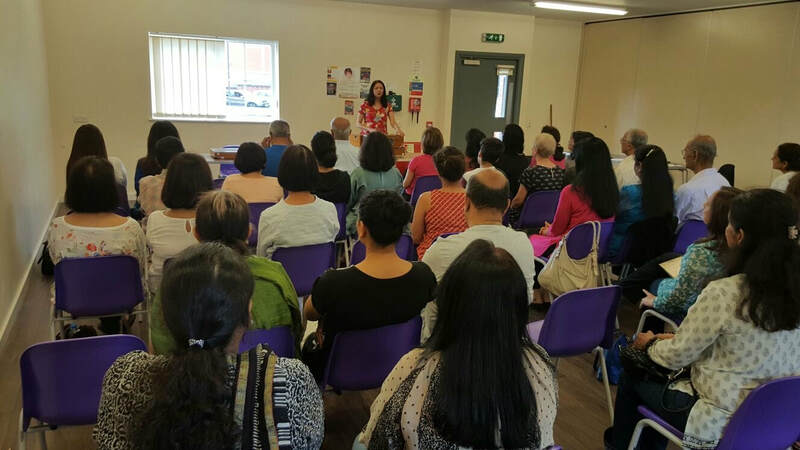 Our sincere thanks to Risha Dholakia and family for organizing a music night on the 30th July 2011 with Sumeet, Vijya and accompanying musicians and raising £929.00 for Inner Joy Foundation. IJF trustee Himat Gami and his wife Jyoti along with other walkers managed a 24 miles three peaks challenge on the 1st of May 2011. 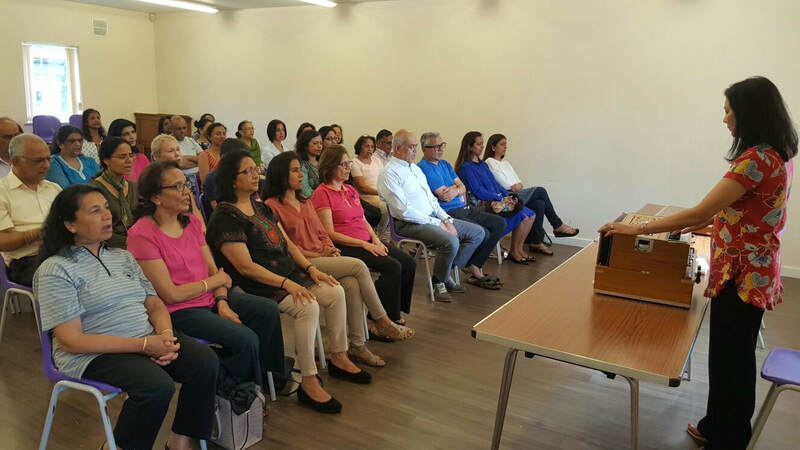 This event was organized in partnership with Sewa International and they managed to raise an impressive sum of £4367.20 for Inner Joy Foundation. Our sincere thanks to all the sponsors who supported the walkers with generous donations. An entertaining mehfil was organized by Inner Joy Foundation on the 2nd April 2011 with Vijyalaxmi Kara and Group raising £2100 Thanks to all the volunteers and supporters who helped in making this evening a success. 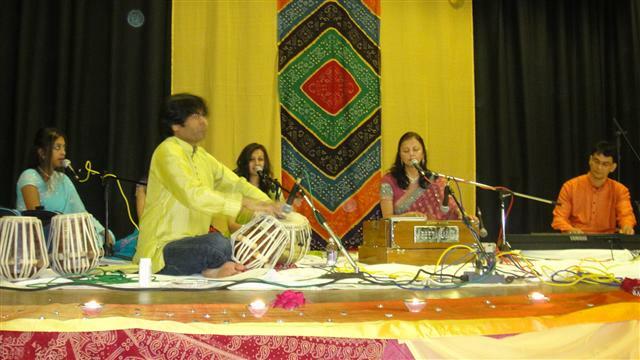 We held another musical event on the 17th July 2010 with Vijyalaxmi Kara and her students. The event was a huge success with a full house. As well as promoting fine arts for the general wellbeing of humanity we managed to raise over a £1000.00. If you wish to support our work through fine arts then please contact Vijyalaxmi. To know more about the musical back ground of Vijyalaxmi Kara please look up www.vijyalaxmi.com. Vijya can give you ideas on how to organize aritistic events and you can count on her full support if you wish to hold an event supporting Inner Joy Foundation. Vijyalaxmi Kara's students performing to raise awareness of the Fine Arts and raise funds for Inner Joy. At the end of the concert there was a public participation session in which Vijya had the audience joining in the singing and bringing tremendous joy among the audience and bringing therapeutic benefit to many of them. Inner Joy foundation held its first event on 1st March 2008, at the Watersmeet Theatre, Rickmansworth. Vijyalaxmi Kara and musicians entertained an audience of 300 with music from films, ghazals and semi-classical songs. The evening was a huge success with considerable funds raised, which will go towards the upkeep and maintenance of the hostel in Junagadh and also towards staging further events. Another musical concert was held on the 9th August 2008 at The Radlett Centre Theatre. It was a concert to celebrate the lives of our loved ones. It was a way to demonstrate that we can channel the energy of grief into positive directions without forgetting to celebrate our own lives. The songs were spiritual but also musically highly entertaining. We also had very encouraging feed back from the audience regarding the event and the work that I J F is carrying out. If you feel you wish to take part or contribute in any way, such as sponsoring food, or hire of the hall or even in other ways towards the charity itself, please contact us.